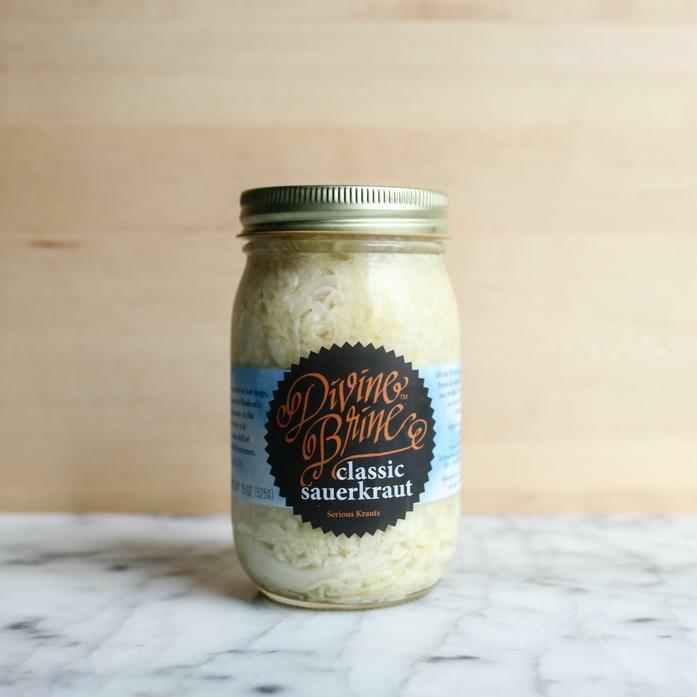 This classic sauerkraut is the perfect addition to any BBQ. We love using it as a topping to our turkey sausage. Each order contains 1 15 oz jar of sauerkraut. The jar must be refrigerated.